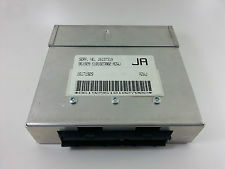 It is a AC Delphi Delco Multec Engine ECU and we are able to fully test and rebuild these units. This entry was posted in Daewoo, LATEST NEWS and tagged 16199550, 16199550 DM, 16199550 DR, 16199550 HG, 16199550 JG, 16199550 QB, 16199550 QC, 16199550 QG, 16199550 SR, 16199550 SS, 16199550 TV, 16199550 TX, 16199550 UP, 16238981, 16238981 1E, 16238981 2E, 16238981 C3, 16238981 C4, 16238981 C6, 16238981 CQ, 16238981 CR, 16238981 CS, 16238981 D4, 16238981 J6, 16246899 CS, 16246909 C3, 16246929, 16246929 CR, 16246939 CQ, 16246989 1E, 16246999 2E by smartAjaz. Bookmark the permalink.